Prior to joining McVay Media in 2001, Daniel’s experience includes stints as General Manager, Network/Syndicated Program Director, and On-Air Personality. In 2001, he was named the #1 Young Entrepreneur by Young Entrepreneur Magazine, in recognition of an internet-radio company he founded. 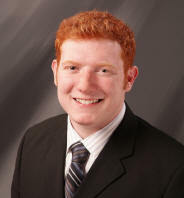 Daniel is also a proud two-time recipient of Edison Media Research’s 30 Under 30 Award. 1. How has your consultancy (McVay Media) evolved over the last few years? I have personally been involved in the media business on a number of levels—from programming radio stations and network/syndicated shows to consulting radio stations and developing digital audience/revenue strategies. My programming experience is largely in the AC, Hot AC, and Christian AC formats. I first fell in love with the radio business at the age of nine. After some on-air work in Cleveland as a youngster, I was part of an internet-radio company that partnered with Interep Interactive to sell digital audio advertising. The players in Internet-Radio at the time were bold trail-blazers with a definite agenda to take listeners and ad dollars away from broadcast radio. When I first started consulting radio stations in programming and digital media at McVay Media eight years ago—most broadcasters had an indifferent approach to interactive. They were largely unbothered by the digital media sellers who were clandestine about eroding their ad shares. Only a handful of my clients at the time had serious ambitions to exist and do business “in the digital world.” So much has changed since then. Paraphrasing a point from my friend Holland Cooke, there used to be an attitude that “radio was leading people to digital media.” Now, the best we can do is follow them there. Radio’s audience has shifted. Beyond the fact that there are abundant options for any listener to choose from—there is a significant portion of our audience who has grown up knowing only “instant gratification.” This new generation of consumers fearlessly searches for new flavors, new destinations, new entertainment, new appliances, new services, new artists, and new information. If they don’t like their options, they just keep looking with confident knowledge that someone has created what they want… they just have to find it. It has been a challenge for the church too. That has dramatically shifted our approach to consulting radio stations. We focus on much more than the programming that comes-out-of-the-speakers—but also the entire listener experience, from the station’s mobile presence to online engagement. 2. In your opinion what are the biggest obstacles facing Christian radio today? A problem for the Church and Christian radio alike is the trend of “Snack-o-tainment.” Snack-o-tainment is in, and most Christian radio stations want to be “deep.” Snack-o-tainment is a word that was first used by Wired Magazine to describe how people now consume entertainment in bite-sized pieces. Whether it’s television, movies, games, or your radio station, the attention span of an average listener is diminishing. Especially if you are targeting the 18-44 year old demographic, this is no time for promos that take 15-30 seconds to wind up and get to the point—or programs that take 30 minutes to get to a profound learning point in the 28th minute of the program. Between cell phones, television, the internet, movies, games, fashion, e-mail, and podcasts, listeners can meander effortlessly from media to media without personal regard to our agenda. The pressure is on to “get-yer-point-across-when-ya-got-em.” It’s not easy, and it’s definitely not ideal for stations who have important and life-changing messages to share, but it is the reality of how people consume radio (and any other entertainment now). It forces us to be more powerful with the small amount of time we are privileged to have with each listener. Another challenge is the practice of “slogan-and-promise” programming. Some Christian radio stations have jumped into “best mix, most music” imaging and promises. Like no generation ahead of them, 25-44 year olds are immune to slogans, advertising, and marketing cliché’s. This generation is the aftermath of the highly targeted and desired baby-boomer market. They think they’ve seen everything, so your marketing message is immediately scrubbed against a bridle and ruthless mental filter based simply on its inherent classification as a “marketing message.” It’s important that we stop taking ourselves so seriously and start talking to our listeners on their level. My friend, Steve Swanson at WAFJ/Augusta, has often spoken about our ability as a format to get beyond our perception of the target listener as a standard-issue 37 year old woman with 2.5 kids and a puppy, and get real about the variety of people our stations serve. PPM is showing us that there never has been a “Becky” or “Nancy,” and that our P1’s are actually a broad variety of listeners—and more evenly split between males and females than we think, too! As a format, I believe we’re being called to reassess who we think is on the other side of the radio. 3. Recently you launched a new service called “Listener Driven Radio”, how can Christian radio stations benefit by using this? Thank you for asking. We are very excited about Listener Driven Radio (www.ListenerDrivenRadio.com). It is a new model for radio built on crowdsourcing, that allows listeners to go online, or to their mobile phone, and offer their input into what plays next on the radio station. LDR is constantly absorbing listener input, song votes, and comments on music, and automatically adapting programming in real-time. Your audience can control the station’s on-air product … within the parameters that the Program Director creates. It gives a personality much more than a request line to bring the radio station to life with audience feedback. This is an opportunity for Christian radio to turn listeners into collaborators and give them ownership over your programming. Also, since listeners can vote for songs, request songs, pick which song should play next, and upload or vote for new music through the radio station website or their mobile phones, LDR gives Christian radio stations reach into the digital space that they may not currently have. One thing that is so important about Christian radio is our ability to “be light during dark times.” I love hearing artists like Francesca Battistelli, Brandon Heath, and Jonny Diaz that give us a fresh sound and feel. Songs that focus on the love and hope that we stand for as Christian radio stations are beacons to a greater audience when times are tough. As my grandfather always used to say, “When you laugh, the world laughs with you. When you cry, you cry alone.” Brutal, but more than a tad true! Strictly “musically” speaking, I feel that we are emerging into more of a “pop” cycle now. I am seeing bands with a “pop” edge do better in the research now than they have in past years. For some time, I felt that Christian radio was getting cornered into a “modern AC” sound—lots of guitars and husky voices with little variety in sound. It seems that we have been emerging from the “modern” phase now and embracing more pop acts. When I think of the stations that sound “alive” musically in Christian radio, it’s the ones with people who are in love with the music behind the scenes. 5. What do you believe is the primary role of the Christian radio air personality? Ha, cue the soapbox! You’ve struck a chord. :-) Personalities are THE most important part of what we do as Christian radio stations, and I believe we underestimate their importance in our format and industry. People bring the radio station to life, and they differentiate you from any other audio service that plays the exact same songs. I travel about 40 weeks out of the year working with stations in a variety of formats, and I hear a lot of Christian radio. In many cases, Christian radio stations sound “formulaic” to me... The microphone turns on, and the jock says the same predictable thing, in the same predictable voice, with the same predictable words, into the same predictable song. Within 15 seconds, I am predictably bored as a listener. ...and it’s not just Christian radio. This is “color by numbers” programming—squeezing dynamic people and personalities into a tight cookie-cutter format and telling them what to say and how to say it. Life doesn’t work that way, and our listeners know it! For several years, I have had the pleasure of working with The Joy-FM in Florida. They are passionate about the people they serve—and they believe in the power of personality radio. Dave Cruse, Bill Martin, Carmen Brown, Dan Brodie, Jayar Reed, and Michelle Tellone have become friends and trusted confidants to listeners—much more than “liner card jocks.” Listen to them online at www.thejoyfm.com. You’ll hear real people on the air. Listen to Jayar on The Joy-FM in afternoons. It’s unlike any other afternoon show in Christian radio. Tracey, Mike, and Dave, the morning show at WRBS/Baltimore, is also an impressive example of real friends who have real conversations—and they happen to be on the air at the same time. They are not afraid to get personal on the air and poke fun at each other when they get too serious. At the same time, what they stand for as people (and who they really “work for”) is clear. Also on my Internet-Radio tuner... and some folks worth listening to... Shine-FM’s Johnny Rocket and Malcolm Hunt in Edmonton, Monk and Kelly at WVFJ in Atlanta, Stephanie Nicole in Calgary, Gary, Roxanne, and Susie at KPEZ/Austin, Beth Warden (syndicated) out of British Columbia, and Murphy, Sam, and Jodi (syndicated) out of Baton Rouge, Louisiana... and there are more!